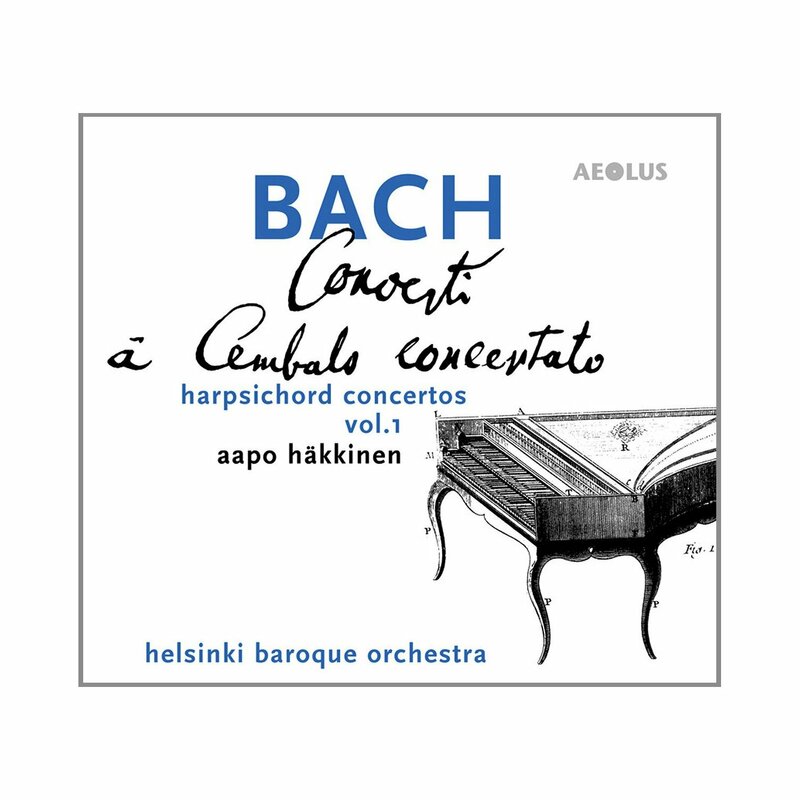 Two potentially contentious issues regarding this new recording are frankly addressed by Aapo Häkkinen in the notes: the use of a harpsichord with 16′ stop – a copy of an instrument from 1760 – and the employment of organ continuo. A later note even admits that the date painted on the Hass original, 1710, is a forgery, presumably committed by someone who wanted to convince everyone that JSB would have used such an instrument; the instrument actually post-dates Bach’s death. The weight of evidence adduced for instruments with 16′ tone seems conclusive, though I can’t pretend to scholarly knowledge in the matter and I generally dislike bottom-heavy sound in Bach’s keyboard music for harpsichord or organ. In the matter of the use of organ continuo the evidence seems less convincing: the best that Häkkinen can claim is that ‘it does not seem too far-fetched’. I look forward to the rest of this series – at least, I assume that ‘Volume 1’ contains the promise of more to come – but with rather less enthusiasm than to the next volume of Matthew Halls’ series on Linn (Volume 1, CKD410 – see review: Recording of the Month – and review). Where that recording overlap with Häkkinen’s, in BWV1052, my preference is marginally for Halls. The Linn is also available in SACD and Studio Master download formats.